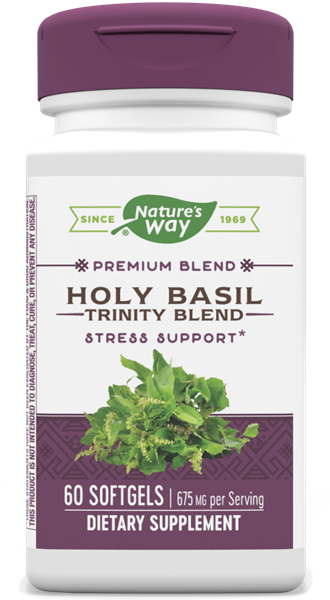 Holy Basil Trinity Blend™ / 60 softgels - Nature's Way®. Why Holy Basil Trinity Blend™? Two softgels daily. If pregnant, nursing or taking any medications, consult a healthcare professional before use. What is the difference between holy basil and the herb, basil, used in food preparation? What is a supercritical extract? Why is it important?